Welcome to Black Hills Medical Spa, Rapid City’s only medical spa supervised by board-certified plastic surgeons. 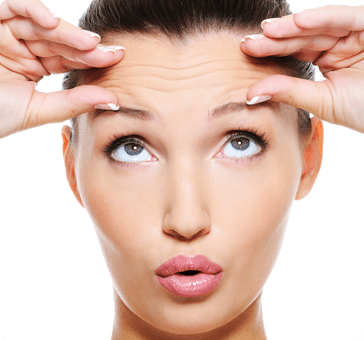 Our providers offer the most innovative, safe and effective medical spa services for the face and body. Our goal is to provide you with the best medical spa experience possible. We believe each client should experience their own customized treatment regimen focused on individual needs. Bobbi is a physician assistant who provides patient care services in a clinic setting, hospital and first assist. She is a graduate of the University of South Dakota Physician Assistant Studies Program and is certified through the National Commission on Certification of Physician Assistants. She has over 13 years experience as a physician assistant. She is trained in Coolsculpting, cosmetic laser treatments, Botox, Juvederm fillers, laser tattoo removal and deep chemical peels. Dr. Robert Schutz is a board-certified plastic surgeon in Rapid City, SD, with more than 20 years of experience. He draws patients from areas such as Gillette, Wyoming, and Pierre and Spearfish, South Dakota, for cosmetic and reconstructive surgery procedures. “My philosophy is to achieve a natural-looking result with every surgery and procedure. When it comes to facial rejuvenation and body contouring, I believe less can be more. I also believe the goal is to help patients look like younger versions of themselves while still retaining the facial characteristics that are uniquely theirs." Dr. Mary Snyder is board certified by both the American Board of Plastic Surgery and the American Board of Otolaryngology – Head and Neck Surgery. She performs cosmetic and reconstructive surgery for a patient base spanning from the Midwest to the Rockies. Practicing in Rapid City, SD, Dr. Snyder is a highly trained and qualified plastic surgeon whose professional interests include breast reconstruction, breast enhancement, body contouring and facial reconstruction. She is dedicated to providing a personal approach and treatment plan for the women and men who visit her from areas near and far, including Montana, Nebraska and Rapid City, SD.